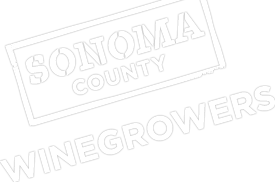 December 12, 2017, Santa Rosa, CA— As the calendar turns to 2018, Sonoma County Winegrowers (SCW) are one year closer to achieving its goal of becoming the nation’s first 100% sustainable winegrowing region in 2019. On Thursday, January 11, the winegrowing community will gather for the 27th annual Dollars and $ense Seminar and Trade Show with this year’s theme “Sonoma County Strong and Sustainable” for a series of marketing presentations and an update on Sonoma County Winegrowers’ Sustainability Initiative. In addition, the trade show will feature more than 50 local and national exhibiting sponsors. Updates on the Sonoma County Grape Growers Foundation and Housing Support Fund. The Dollars & $ense Seminar and Trade Show will be held on Thursday, January 11, 2018, from 7:00am – 1:30pm at the Luther Burbank Center for the Arts located at 50 Mark West Springs Road, Santa Rosa 95403. The trade show will feature more than 50 local and national exhibiting sponsors. The cost for growers to attend the seminar and trade show is $20 or $50 with lunch and $35 or $60 with lunch for the wine industry and public. ister online by January 8th, at: https://sonomawinegrape.org/2018-das. If you have questions or if you have a business that is interested in participating in the trade show, contact Andriana Duckworth at 707-522-5867 or [email protected]. Vendor registration cut-off is December 31st, 2017. Media Note: Please contact Amy Landolt to obtain a media pass if you would like to attend.